Russell was born in Trelleck, England, on May 18, 1872. His mother died when he was two and his father when he was three. His parents, friends of liberal philosopher John Smart Mill, were outspoken free thinkers who favored women’s suffrage and birth control. Russell’s grandparents, who did not share such views, raised the boy in their own house. Russell was privately educated. He read many of the books in his grandfather’s library and at age 11 encountered EUCLID and became interested in the content and structure of geometry. Between the ages of 14 and 18, Russell was very interested in religion and understanding free will, immortality, and God. He discarded these one at a time, becoming an agnostic after reading Mill’s explanation of the difficulty in proving God’s existence. In 1890 he entered Trinity College at Cambridge University and after graduating traveled to Germany and wrote German Social Democracy. In 1898 he returned to Trinity as a fellow and lecturer. In 1900 Russell met Giuseppe Peano, considered to be the founder of symbolic logic, who was building mathematics on precise axioms, which Russell felt extended backward to philosophical vagueness. Russell insisted that the logic itself needed to be placed on stronger and more precise footing. A little over a year later, Russell disproved mathematician Georg Cantors proof of no greatest cardinal number with what was later called Russell’s Paradox, a form of logical fallacy known as a “vicious circle” in which an entity is used in the definition of the entity itself. In 1902 he started to outline his ideas on logic in The Principles of Mathematics and began his work with mathematician Alfred North Whitehead on Principia Mathematica. Published in three volumes between 1910 and 1913, Principia suggested that mathematics arises solely from the rules of logic and uses these rules to explain, extend, and correct number theory, set theory, and logic as developed by Peano, Cantor, and other mathematicians. Russell visited and taught in Russia and China in 1920 and 1921. During the 1920s and 1930s, he wrote extensively for a lay audience on a variety of topics, including The ABC of Atoms in 1923, The ABC of Relativity in 1925, and The Scientific Outlook in 1931. Just before World War II he was made a philosophy professor at the City College of New York. A woman challenged his appointment on the grounds that he advocated free love, and a member of the New York State Supreme Court revoked Russell’s appointment. In 1944 Russell was re­appointed to Trinity College; in 1950 Russell received the Nobel Prize for Literature. He remained an activist and was arrested at an antinuclear demonstration when he was 89. He died on February 2, 1970, in Wales. Russell’s work in mathematics laid the foundation for logicism, the theory that all mathematics is rooted in logic. It also prodded a basis for important philosophical trends of the twentieth century. First suggested by the German mathematician Gottlob Frege in the late 1800s, logicism greatly influenced mathematics in the first half of the twentieth century. Russell, along with Whitehead, extended and spread Frege’s ideas about the fundamental nature of logic. Russell’s corrections and elaborations on existing postulates of logic refined ideas on number theory, set theory, and other mathematical concepts that later influenced not only mathematics but a variety of subjects, including computer science. 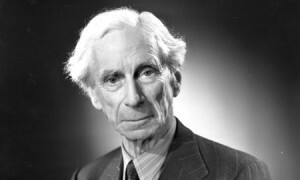 In the 1920s Russell’s logicism led to a broader philosophical application known as logical positivism. This doctrine suggested that the only true factual knowledge is scientific in nature, and that such knowledge can only be derived from empirical inquiry. By the middle of the twentieth century, logical positivism, in turn, led to the philosophical school known as analytical philosophy, which suggests that philosophical investigation deals largely with the constructs of language. Rusell’s writings aimed at the layman helped to explain complex scientific and mathematical concepts to a wide audience.